A FAVOURABLE draw has boosted Kevin Pizzuto’s confidence ahead of Saturday night’s Chariots Of Fire at Tabcorp Park Menangle. Enjoying a stellar season with his team, Pizzuto will contest the Group One with Picard, which is slowly gaining the respect he deserves according to the prominent trainer. “For some reason he just doesn’t get the attention and hype of some of the others,” Pizzuto said. “I’ve given him 12 starts for nine wins and three placings…there isn’t much more he can do. “Have a look at his win in the Hondo Grattan Stake, I know he was second-up from a spell, but he’d won first-up, and he was one of the outsiders at $18. “I understand the draw played a role in that, but his form was as good, if not better, than anything else in the race. “I think he’s shown what he can do enough for people to realise he is the real deal. To be driven by Todd McCarthy, Picard is expected to be sent forward in search of the lead from barrier two. The Australian Pacing Gold purchase is on the fourth line of betting at $9.50 with TAB Fixed Odds, with Chase Auckland the $2.50 favourite from the pole. Last weekend’s brilliant Paleface Adios Stake winner Ignatius is the second elect at $3 despite drawing barrier nine, with Victoria raider, Poster Boy, listed as a $5.50 chance from gate eight. 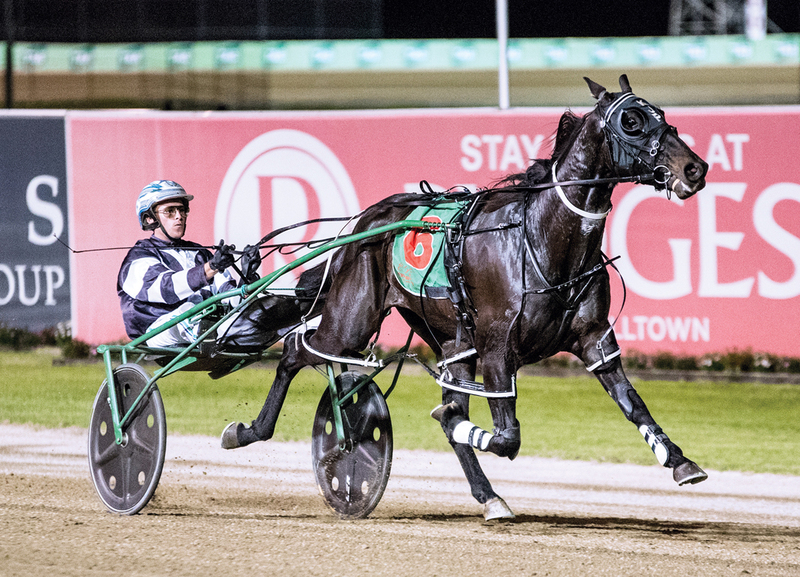 Picard heads into the Australasia’s premier four-year-old event having finished third against open company in last Friday night’s Newcastle Mile. The son of Roll With Joe led from barrier four before being swamped in the shadows of the post by Yayas Hot Spot and Little Rascal to be beaten by a metre-and-a-half. “We’ve got options from the draw,” Pizzuto said. “I’ll work out what I think is the better option during the week, but it’s up to Todd to come up with alternate plans if things turn out differently at the start. “I couldn’t be happier with his run in Newcastle. The track wasn’t the best because of the rain but he did well. Rating Chase Auckland and Ignatius highly, Pizzuto believes selecting the ‘one to beat’ is a task thwart with disaster. “I can’t,” Pizzuto said. “It is too hard to pick one to beat as they’re all the cream of the crop. “There is nothing between them and they all deserve to be there.